You've watched that nice Ad play out on television numerous times, and you have realised that Windows 8 is the Operating System that you really, really want. What next? If you have read through our previous post on the various versions of Windows 8 available, you would have a good idea as to whether you want Windows 8 or Windows 8 Pro. Obviously, if your office computer gets Windows 8 Enterprise (as decided by your organisation's IT department) there's not much you can do to change that. Let's begin with Windows RT. Windows RT is not something you can pick up off a shelf and install in a computer of your choosing. Windows RT is available only with newly purchased ARM-based (that's a processor specification that differs greatly from Intel/AMD-based processors - if you have a smartphone/tablet purchased in recent years, it would be based on an ARM-based processor) Tablets and PCs. Quite a few ARM-based devices have been announced by PC manufacturers, Microsoft included, but we don't look too kindly on a version of Windows that cannot run legacy (meaning every single Windows software that was released before Windows 8) Windows software. An average Indian, when setting up a new PC, goes ahead and installs a set of software which generally includes (but is not limited to) the following: Google Talk, VLC Media Player and/or the traditional Windows Media Player with a codec pack, a download manager such as Free Download Manager and so on. Sadly, none of these can be installed on a PC running Windows RT. Say, what?! Yes, Windows RT is Microsoft's attempt at capturing the Tablet market that has been dominated by the iPad and completed by Android-based Tablets. Since Intel/AMD-based processors cannot provide the battery backup that would be comparable to an iPad or Android Tablets, Microsoft had to build Windows RT. So, Windows RT is more like a Tablet-specific version of the new Windows. We know this could be confusing - feel free to read up more about it online or drop us a line. We'd be glad to go ahead and clear any doubts our readers might have regarding the new flavours of Windows. Moving on, let's take a look at the "standard" edition of Windows 8: Windows 8. This is the version that we have seen being offered with most new PCs running Windows 8, yet this is the one version that Microsoft is not offering easily for existing PC owners. If you just want to purchase a full version of Windows 8, you will need to talk to a sales rep, as the Microsoft website says. There is no 'retail' version of Windows 8 - you would be forced to purchase a System Builder license (previously known as OEM) from wherever you can find it available. In the US, websites like newegg and Amazon generally stock these licenses. Good luck with finding similar options in India. Oh, and the best part? If you purchase a System Builder license-version of Windows 8, Microsoft does not provide technical support. Finally, the version that we like the best: Windows 8 Pro. If you have recently purchased a new Desktop/Notebook PC running a licensed version of Windows 7, you can purchase an upgrade to Windows 8 Pro for only Rs. 699/- If you have a computer running a licensed (not cracked or pirated!) version of Windows XP, Windows Vista, Windows 7, Windows 8 Consumer Preview or Windows 8 Release Preview then you can purchased the upgrade for Rs. 1999/- directly from Microsoft. If you want to purchase a physical copy of the Windows 8 Pro upgrade, your chances in India are slim. If you want to purchase a no-nonsense, full (not an upgrade) version of Windows 8 Pro - we wish you all the best. You would need to purchase a System Builder license, just like for the standard edition of Windows 8 (Refer previous paragraph). 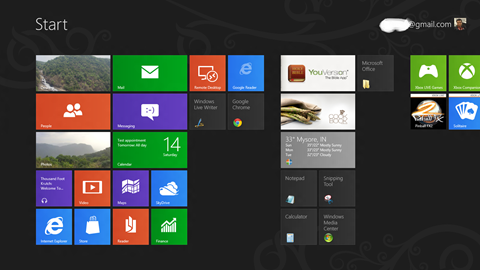 We hope this clears some of the questions surrounding Windows 8 versions and how to obtain them. Like we mentioned previously in the article, if you have further queries, feel free to contact us via email or leave a comment below. face. Visit www.rightflorist.com/japan_florist/gifts_flowers_japan.asp for more info. have been missing your presence on their special day. A gift actually brings your inner self before them. Visit www.hampersnationwide.com/Italy/Gift_Hampers_to_Italy.asp for details. face. Visit www.rightflorist.com/CzechRepublic_Florist/Gifts_Flowers_CzechRepublic.asp for more info. face. Visit www.rightflorist.com/Argentina_Florist/Gifts_Flowers_Argentina.asp for more info. face. Visit www.rightflorist.com/Russia_Florist/Gifts_Flowers_Russia.asp for more info. www.rightflorist.com/Poland_Florist/Gifts_Flowers_Poland.asp that will provide you with astonishing gift collections. have been missing your presence on their special day. A gift actually brings your inner self before them. Visit www.hampersnationwide.com/Australia/Gift_Hampers_to_Australia.asp for details. have been missing your presence on their special day. A gift actually brings your inner self before them. Visit www.hampersnationwide.com/SaudiArabia/Gift_Hampers_to_SaudiArabia.asp for details. face. Visit www.rightflorist.com/Netherlands_Florist/Gifts_Flowers_Netherlands.asp for more info. Christmas celebration is going to be happening ones along with the lovely splendor of flowers as displayed in the address www.giftbasketsfrance.fr specially meant for those staying away in France. Enjoy bonding with your dear ones along with these flowers. present your family, friends and close acquaintances living in Portugal with gifts from www.giftbasketsportugal.com.pt specialized for delivery to Portugal.